G5 AIM Event 2016 Bend in a Bag | FineLine Graphics & Design, Inc.
Our task was to create the label for this bag. We wanted to convey the enjoyment of the outdoors as a favorite Bend pastime. 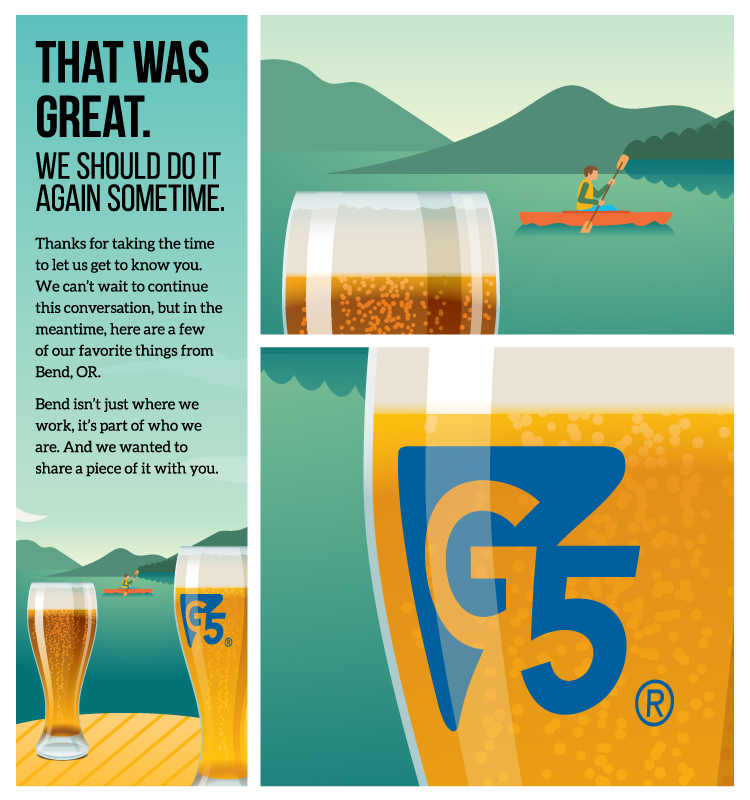 We felt by depicting an invitation to share a local brew, and showing a person enjoying a beautiful mountain lake we’d be sharing a few of Bend’s favorite things.